Are you stressed over the emergence of white moles on your skin? Well, their presence is not strange! Majority of people have moles that appear by the age of 20. The best news, however, is the stubborn moles can be treated without compromising the integrity and the complexion of your skin. While the condition is treatable, it is crucial that you do not ignore persistent white moles since they may signify the presence of skin cancer. Instead, you should have a medical checkup just to be sure of your safety. This article will highlight the causes of white moles as well as how you can eliminate them fast and safely. Why do I have White Moles on My Skin? I have a White Ring Around My Mole; What does It Mean? White moles start as a collection of melanin-producing cells called melanocytes leading to a loss of their ability to produce the dark skin pigment which results in a visibly white mole. They vary in size and appearance depending on the severity of the situation. They can be raised, smooth, hairy, or protruding but they all have well cut-out edges. The white moles can either be round or oval. Also, they occur as crusty moles with soft and well-outlined margins. Why are white mole different from the others? These moles are different from the rest due to the color. They commonly start as black moles after which they progress to white moles after the cells lose their melanin-producing ability. They may also remain black but develop a white spot in the middle making them highly conspicuous. While changes in color is a reason to worry, most of these are dysplastic moles that carry no harm. While moles are generally a normal occurrence that shouldn’t worry you, you should be keen to note any color change around them. If the color changes from dark, pink, then to white, you should immediately seek medical advice. 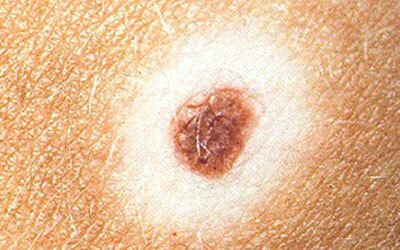 Abrupt changes on the moles can be a sign of cancer! White moles are not permanent. You may have heard a lot of stories regarding the impossibility of eliminating white moles. However, you should realize that there are numerous ways that you can apply to get rid of the stubborn moles entirely. The moles can appear in any part of the body including the head, scalp, nose, and the chest. However, you should realize that the regions that are regularly exposed to the sunlight are at higher risks of developing the moles than other regions of the body. Are you worried about the recent appearance of white moles on your face? Well, while there exists a risk that they can be cancerous, the chances are minimal. Their occurrence is a common phenomenon among people of all age and most people develop white moles by the time they get to 20 years. Excessive sun exposure. Skins that are frequently exposed to sunlight are more susceptible to white moles than those that experience a cool environment for a long time. If you have an outdoor job that necessitates frequent exposure of your skin to sunlight, you should ensure that you buy sunscreen to apply every morning before leaving your house. However, this is not the exclusive reason for the occurrence of moles since there is a chance of the moles developing in covered parts of the body. Genetic. The genes that you inherited from your parents contribute significantly to the development of white moles. Individuals of certain lineage may be more susceptible to the condition than others. Also, some children are born with congenital moles. Abnormal division of melanocytes. This is the primary cause of the white moles on your skin. The melanocytes grow in cluster and clumps leading to raised areas. With time, they may start to turn color with a white center or developing a white ring around it. If this happens, you shouldn’t hesitate to consult your doctor. You can read on how to get rid of moles on your face here. If you’ve recently realized that your mole has developed a white ring around it, you need to relax and talk to your doctor about it. It is, however, important to realize that the occurrence of the halo moles is not uncommon. They regularly appear in teenagers of both sexes. This happens when the body automatically selects specific moles to destroy for unknown reasons. It is presumed that such moles have some forms of abnormalities, and thus the body deems it fit to destroy them. These abnormalities could be caused by an excessive exposure to sunrays which leads to changes in the integrity of the mole and thus the body’s immune system targets them for destruction. The reaction affects the surrounding skin which results in a white ring around the mole. To prevent this, you should ensure that you apply sunscreen frequently to protect your skin from harmful sun rays. The occurrence of the white ring should not make you terrified. Instead, you should relax and seek medical attention from a professional. What’s important is to avoid procrastination! Even the slightest change in the color of the mole should necessitate a dermatologist’s visit; you would rather be safe than sorry! There are numerous strategies that you can use to eradicate moles completely. When choosing the ideal method, you should ensure that you research extensively to guarantee a quick healing process thus preventing it from progressing into more complicated conditions. Consult your doctor for professional removal. While this method is relatively expensive to implement, we recommend that you use it, especially when you notice anything abnormal with the mole. Cutting the mole off. White moles that appear on the face can be removed easily using a surgical procedure. The doctor will perform a surgical excision or shave the mole off depending on its appearance and severity. For example, if your mole is small and appears on the skin surface, the doctor will numb your skin and apply a surgical shave procedure. On the other hand, if the mole appears flat and has gone deeper into the skin, the doctor will perform a surgical excision. Freezing the mole. This procedure involves the use of cold liquid nitrogen where the doctor sprays it directly onto the mole. The liquid will systematically destroy the cells of the mole leaving behind a small blister that heals in a few days. Read more here. Burn the mole off. The doctor can use laser surgery treatment to break down the mole tissue causing it to die off. This method is specially designed to treat shallow white moles on the face. While this requires multiple treatments, it leaves behind minimal scarring. Laser surgery leaves behind no scar after treatment! Acid Treatment. The doctor can use mild acids to eradicate the moles. The acid destroys the mole’s tissues giving you relief from pain and suffering associated with them. The commonly used acid in the white mole treatment is the salicylic acid. Homemade solutions. Apart from the doctor’s recommendations, you can use DIY techniques to get rid of the white moles at home. Use of Garlic. The enzymes in the garlic breakdown the moles’ tissue to eradicate them completely. You’ll just need to cut a slice of the garlic and place it on the mole twice daily for seven days. For more information click here. Baking soda and Castor oil paste. 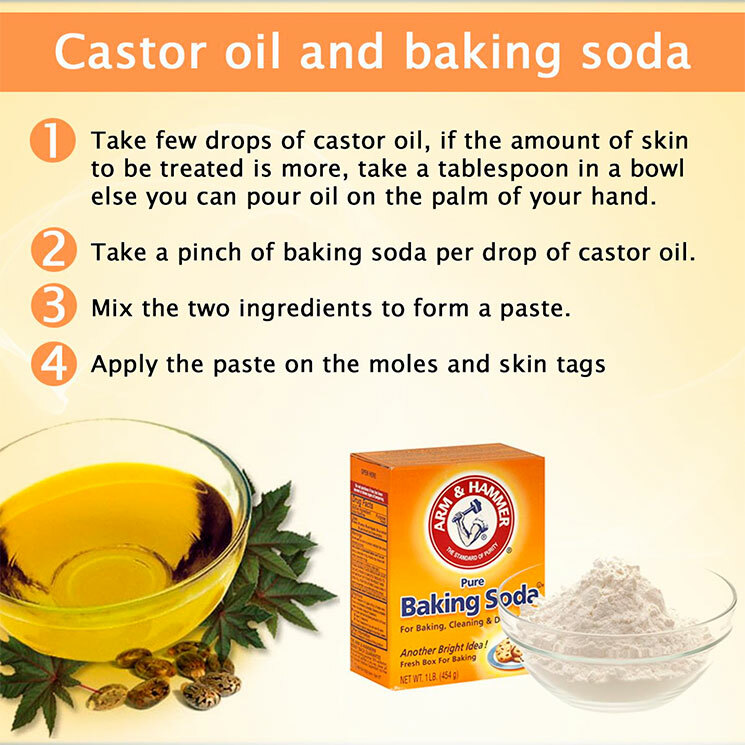 You should combine a small amount of baking soda (pinch size) with few drops of castor oil to make a paste. 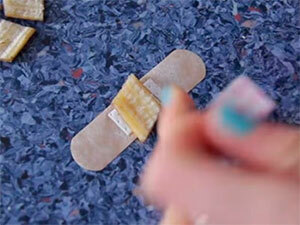 Apply the paste on the affected areas overnight and wash thoroughly the following morning. Repeat this for 3-5 days. Further details can be found here. Aloe Vera. The enzymes in this herb will safely eradicate the moles. You should apply it directly on the mole and wash it off after 15-20 minutes. Apple Cider Vinegar. This is strongly acidic and will ensure that the mole falls off from your skin. You should use cotton balls to apply it on the affected areas and then let it remain there for up to 6 hours. You should then wash it off. Please see detailed descriptions here. This remedy is a surprise to you, right? Well, the peel has strong enzymes that can eradicate white moles fast. Place it directly on the mole and let the natural therapy take its course! 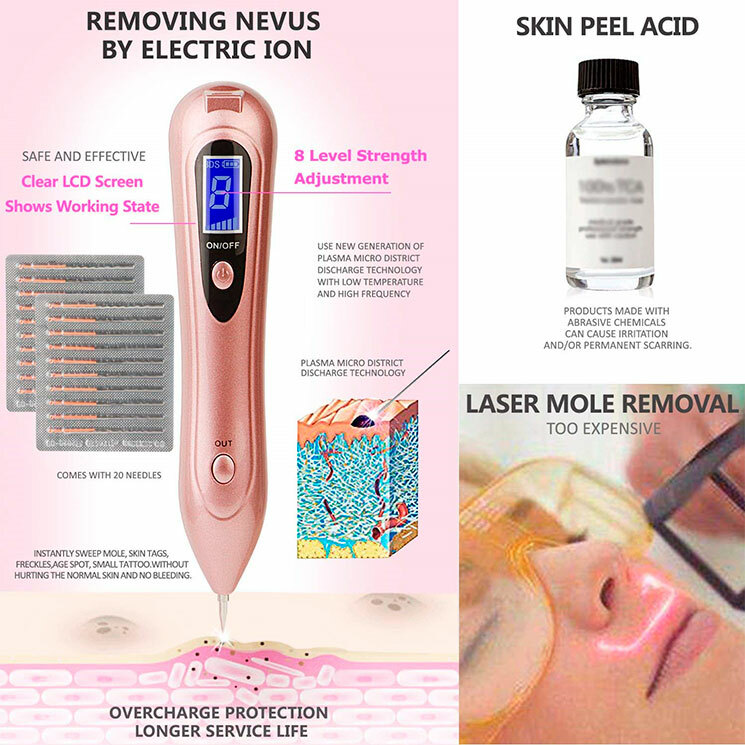 The peels are also among the most reliable mole prevention techniques! There are other numerous substances that you can use at home to get the much-needed relief from moles. They include lemon juice, frankincense oil, oregano oil, potato slices, iodine solution, grapefruit seed extract, and dandelion roots. Developing a white mole can be frightening due to the negative stories surrounding the safety of the issue. However, you should note that their occurrence does not always translate to the development of cancer. Instead of panicking, we recommend that you visit a dermatologist immediately after you realize abnormalities on the moles. Also, you’ll need to read through the numerous recommendations that we’ve given to seek the right medication for your problem.